Kangaroo paws belong to the genus Anigozanthos which has eleven species and they occur naturally in a variety of habitats and soil types in the south-west of Western Australia (the closely related Black Kangaroo Paw is called Macropidia fulginosa). 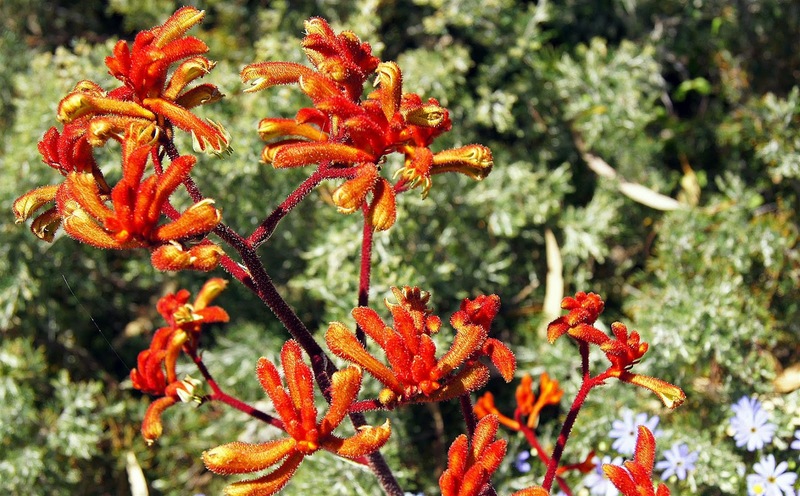 The colour and form of kangaroo paws make them one of the most rewarding Australian native plants AND they make fantastic cut flowers. They are exported throughout the world and are grown commercially in the USA, Israel and Japan. The size, flower-stalk height and colour varies between species. Many new forms have been developed through hybridisation. The overall colour of the flowers is influenced by fine coloured hairs which cover the flowers and sometimes part of the stalk. The flowers appear over spring and summer. The flowers are pollinated by birds. The long flower-stalks usually rise above the undergrowth and 'advertise' the presence of nectar in the flowers. The stalks also provide a perch for visiting birds. The shape of the flowers and the position of the pollen-bearing anthers is a feature which allows pollen to be deposited on the head of the feeding birds. This pollen is then transferred from flower to flower by the birds as they feed. Different species usually deposit pollen on different areas of the birds' head, therefore making it unlikely for that pollen to be deposited in the flowers of another species...... amazing! 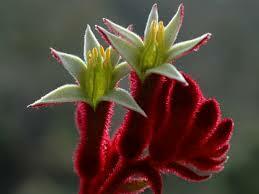 Anigozanthos species are usually propagated from seed. 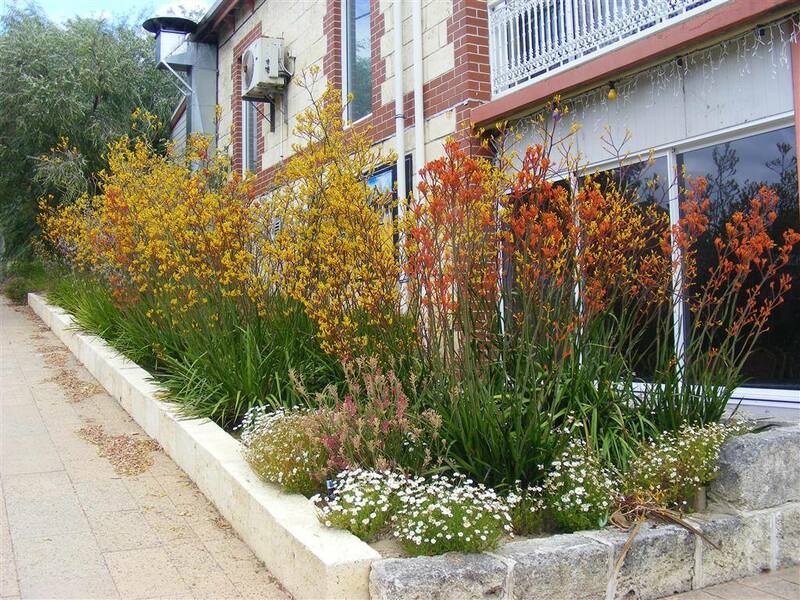 The seed should be sown in a very free-draining seed-raising mix in the spring and summer. The young plants should be transplanted into a well-drained, sunny position with a small amount of well-composted organic matter to improve growth. Usually these plants will flower after a year and clumps may be divided in early summer, once established. 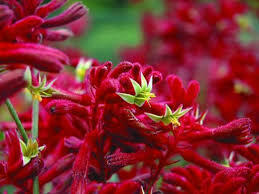 Pruning is the key to keeping kangaroo paws healthy and vigorous, they really respond well to an aggressive hack back. This cut back really reduces the incidence of diseases, so is a 'must do' when growing them.